Fruits and more Fruits… that bring surprising contents! 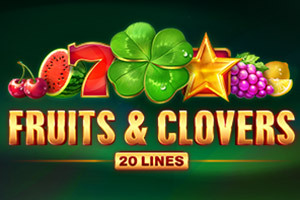 A timeless and classic fruits slot set on a 3x5 grid with memorable fruit symbols is topped with lucky clovers, which act as Wild symbols and land in stacks on the reels. Star symbol is a Scatter and pays regardless of pay lines. And the eye-catching Red Sevens is to bring impressive payouts. Wild symbol substitutes all symbols except Scatter. 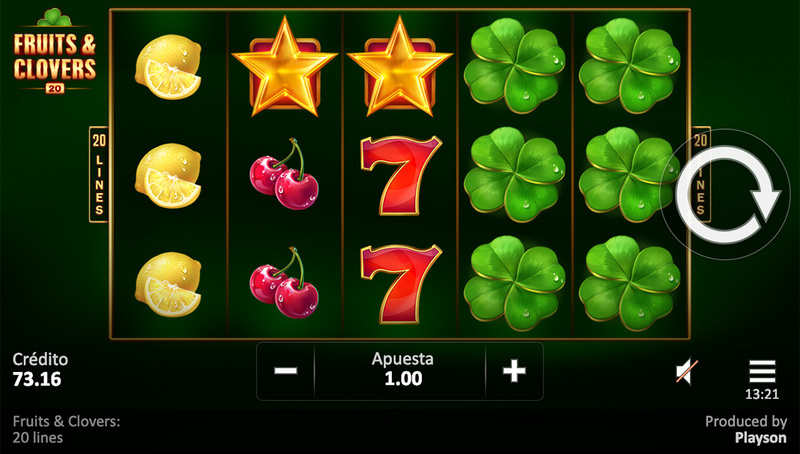 Scatter wins are paid independently of bet lines.